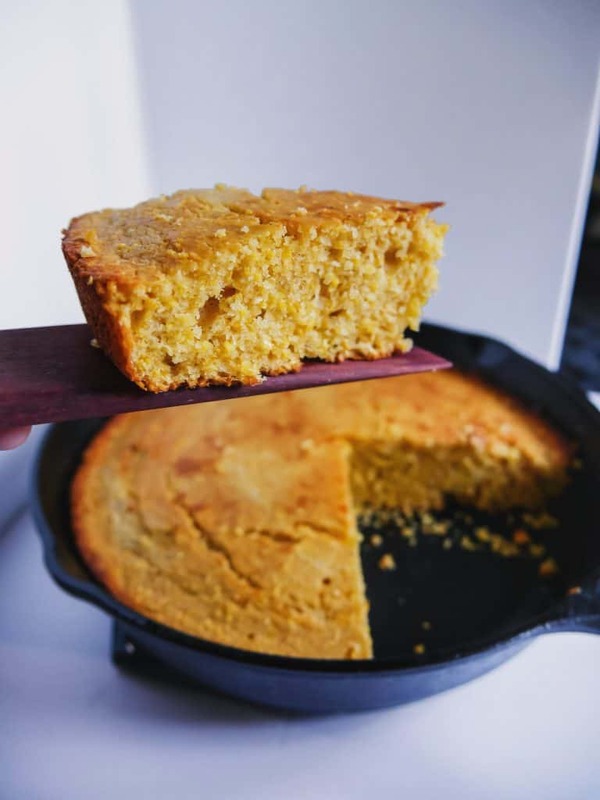 Homemade cornbread in a cast iron skillet! 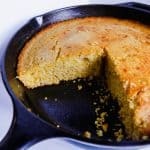 My first thought after I made this was “this is so good, that was so easy, why don’t I make cornbread more often?” Nothing against boxed cornbread mix (I am all about the shortcuts), but it probably takes around the same amount of time to make this homemade version which is much better. 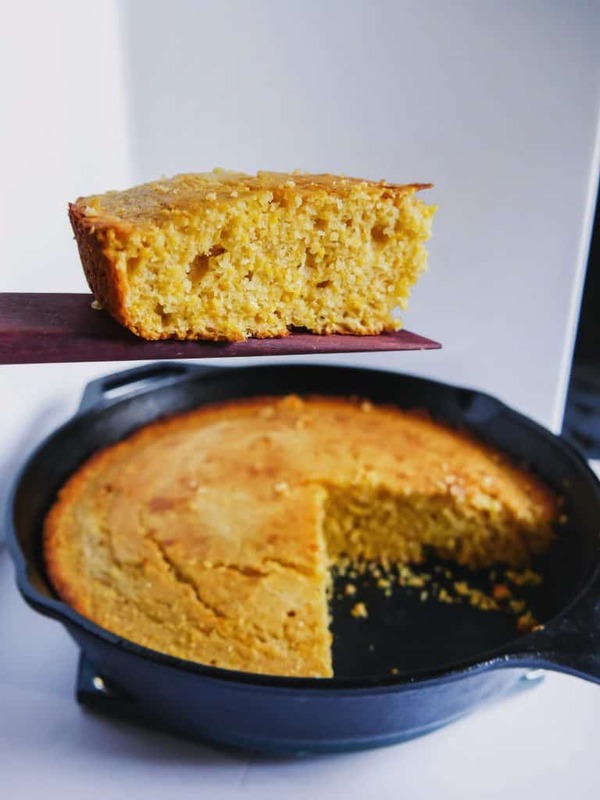 I like to cook my cornbread in a cast iron skillet (Hello, girl with the IRON CAST here) because you get such a nice uniform crust and then that soft pillowy center. 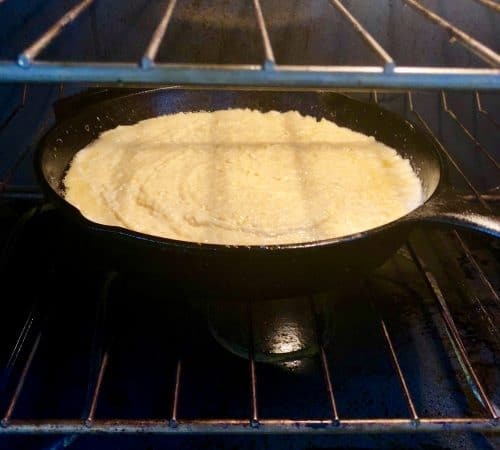 When cooking my cornbread in the cast iron, I always preheat my cast iron in the oven while it warms up. This allows the cast iron to have uniform heat when you pour the batter and then bake the bread. Once your batter is done and the oven (along with your skillet) are pre-heated, I remove the skillet with oven mitts (very hot!) and I use a stick of butter to coat the whole skillet. Hearing that sizzle is like music to my ears. Then you want to pour in your batter and pop her in the oven. You want to bake it for 20-25 minutes until you can insert a toothpick into the center and it comes out dry. Some people add a square of butter on top prior to baking so then it bakes with a nice golden brown top, but sometimes that comes out uneven. What I prefer to do is after 20 minutes when it’s finished baking, brush some melted butter on the top, then low broil it for about a minute to get that golden brown top. Totally optional, but totally worth it. I guess I won’t ever be buying pre-made cornbread ever again and I’m totally ok with it. 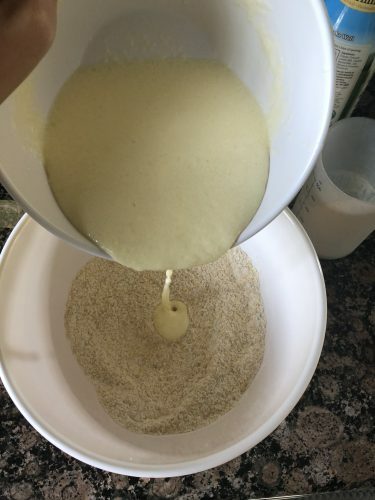 In a medium mixing bowl, combine all the dry ingredients: cornmeal, flour, sugar, baking powder + soda, and salt. Mix and set aside. 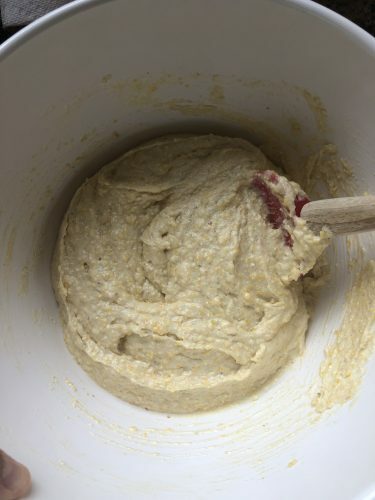 In a separate mixing bowl, whisk together the wet ingredients: buttermilk, eggs, and 1/2 cup melted butter. Pour the wet ingredients into the dry ingredients. Mix until they are combined. 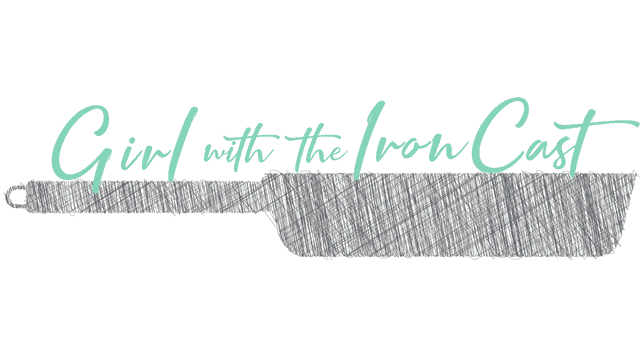 Using oven mitts, remove the hot cast iron from the oven. 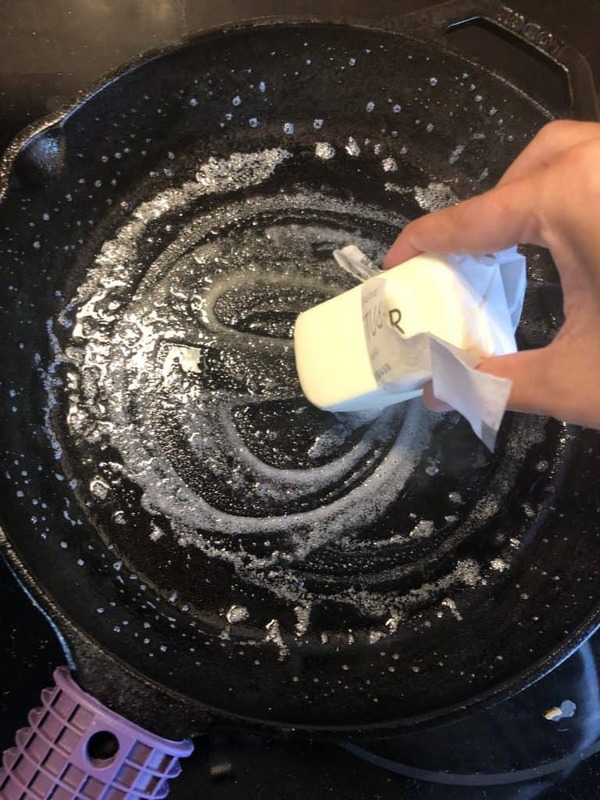 Using the stick of butter, coat the inside of the cast iron in the butter and set aside the extra butter that you don’t use. Pour the batter into the cast iron skillet and place in oven for 20-25 minutes, until a toothpick can be inserted and cleanly removed. 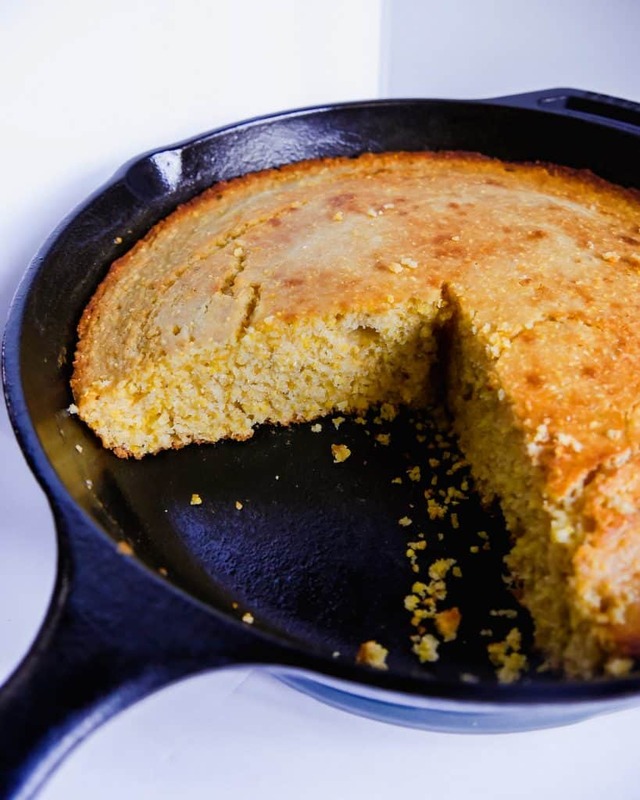 Optional: Once the cornbread is finished you can remove the cornbread and use the left over butter to spread on top then broil on low for 1 minute to achieve the golden brown top.